Dr. Michael Factor, Ph.D., M.Eng., LL.B. Born in the UK, Michael relocated to Israel in 1994. Michael is a licensed Israel Patent Attorney with numerous professional affiliations including the IPAA, the AEA and the AIPPI. Michael has a Ph.D. in Applied Physics from the Hebrew University of Jerusalem, an M.Eng. in Materials Science and Engineering from Imperial College, London, and an LL.B. from the Ono Academic College, Israel. Michael has very wide experience in drafting patent applications and representing clients before the local and international patent offices. The blog, warts and all, is his responsibility entirely and his colleagues in practice are not responsible. Dr. Ben Spungin Ph.D., M.Sc. Ben Spungin holds a Ph.D. in Biology from the Weizmann Institute of Science and an M.Sc. in Applied Mathematics, from the Hebrew University of Jerusalem. Dr. Ben Spungin has wide patenting experience in all areas of biochemistry, biophysics, bio-information, biological products and medical devices, including systems and algorithms for use in biochemistry and biophysics, processing and analysis of biological and medical signals, medical imaging devices and image processing. He has also drafted and prosecuted patents for Internet-related inventions, and methods of doing business. Ben is a member of the Association of Israel Patent Attorneys. Dr Spungin is also a keen clarinetist. 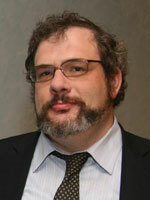 Attorney at Law, Aharon Factor was born in the UK, and relocated to Israel in 1994. Aharon has a B.A. in Social Sciences from the University of Westminster and an LLB from Queen Mary College, University of London. Admitted to the Israel Bar in 1996, Aharon has wide experience in commercial law. After practicing trademark law at Dr. Shlomo Cohen Law Offices, Aharon now manages our growing Trademark Department. Dotan holds a B.A. in Business Management and an LL.B. in Law, both from the Interdisciplinery Center, Herzliya. Dotan is a member of the Israel Law Society. Dotan specializes in commercial law, particularly performers rights. Dotan is a also a keen long distant runner. Dr. Bernard Crammer holds a Ph.D. in Organic Chemistry from Bar Ilan University. After working as a senior pharmaceutical research chemist at Teva, Bernie served in the Israel Patent Office as a patent examiner in various positions including Deputy Superintendent of Patent Examiners and Head of the Chemistry & Biotechnological Division. Bernie provides consultancy services in Chemistry related issues and regarding Israel Patent Office Procedures. We enjoy a strategic partnership with David Blum, a leading litigator in the field of Intellectual Property. In addition to a law degree from Tel Aviv University, David has a degree in Electrical Engineering from the University of Connecticut where he specialized in Computer Science. Previously a partner in leading IP law firms, David has also served as Director of Law and Intellectual Property for Applied Materials (Israel). Our monthly newsletters are opened by over 3500 readers each month.